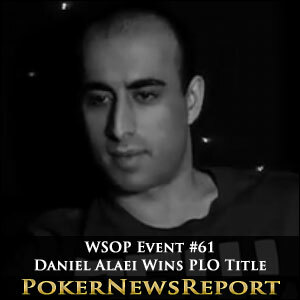 Daniel Alaei stakes his claim as one of the most consistent winners in all of poker. Quiet, reserved, professional – these are the words used to describe one of the most understated pros in poker today, Daniel Alaei. Throughout his nearly 10 years as a tournament grinder, Alaei has amassed more six figure scores that nearly anyone playing on the circuit. Going into Event #61 – $10,000 PLO, Alaei had already won three WSOP bracelets and a WPT title. But the young superstar was hungry for more. After gravitating through a field that saw a marketed increase over last year, Alaei was declared the winner of the last bracelet event before the Main. The final table would prove a brutal affair that would continue on into the wee hours of the morning. 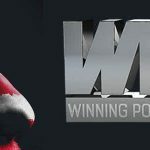 And although Alaei was the most accomplished pro at the table, he faced a lineup that consisted of former Main Event fourth place finisher and bracelet winner Alex Kravchenko and reigning WPT Super High Roller champion Thomas Marchese. When play grinded down to seven players, Alaei sat in a vulnerable position. 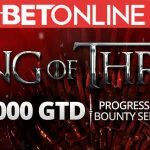 With a mere 30 big blinds to his credit, he began mixing up his game, and used selective aggression to win several small pots. Using his refined instincts, Alaei was also able to pick off several bluffs. His chip count would increase from 1.7 million to over 3 million without playing a major pot. He eliminated Gjergj Sinishtaj in 6th place when his J♦10♥8♠7♠ flopped two pair and improved to a straight on the turn. With over 5 million chips in hand, Alaei was poised to make a run at the very same title he won in 2010. But when heads-up play began, Alaei held less than a 1.5-to-1 chip lead over accomplished high-stakes pro Jared Bleznick. The final table was already running late, and the way things were going, it was expected that an additional day of play would be necessary. But in shocking fashion, the heads-up battle only lasted one hand. Alaei raised to 200k on the button and Bleznick called. The flop was a ragged looking 7♥4♠2♣. Alaei bet, and Bleznick once again called. The turn came the 10♥. Amazingly, Bleznick took the betting lead by announcing ‘pot.’ Alaei quickly jammed the rest of his chips into the center and Bleznick, who was on a semi-bluff, was forced to call. Alaei tabled 10♦10♣4♣3♥ for the turned nuts and Bleznick showed K♦7♦6♠5♣ for second pair and an open ender. The river gave Alaei a boat, and just like that, the tournament was over. For Alaei it was only his second cash this summer and first bracelet since 2010. 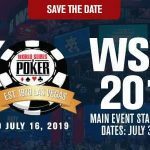 It will be interesting to see if he can muster up the energy to make a deep run in this year’s Main Event. Stay tuned.